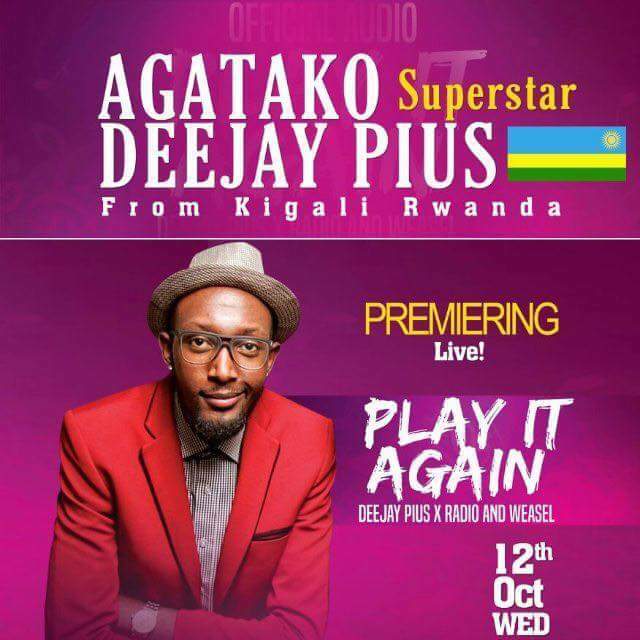 Rwandese Dj Pius broke to fame earlier this year with his popular hit song Agataako that features Dr. Jose Chameleone which became a night club anthem. Just to spice it up he hooked up good life singers Radio and Weasel on a new track titled Play it again whose video was shot and the premiere will happen on the 12th of October at centenary park based Laftaz lounge. The song was done in the afro-pop genre, a sound which is popular with Nigerian music is a dancehall jam that will not leave anyone on their feet.